I was one of the first to play D&D when it arrived at my wargames club. I was not into magic or occultism then, and I have not played for many years. However there were some concepts that D&D had which are exactly how the Divine Self ineracts with the magician. For those who have never played, you dice up a character and play it in an imaginary world which is controlled by a dungeon master. The characters are aiming to become heroes in these imaginary worlds. I realised that the relationship between the player and their character is the same as that of the higher self. In a good game, you experience the same loss of self and get so involved in your character that it becomes real. The Higher Self wants characters: There is a species of roleplayer who just like fighting things, but after a while they realise that just rolling dice is dull. What they end up talking about are characters which are funny, unusual, or do things in an interesting way. There are few roleplayers who would chose to have a character whose sole goal is to settle down, have a few kids and a mortgage. I have never seen a roleplaying game where the highpoint of a character’s life was the arrival of a flatscreen television. The Higher Self wants a life for their character it can bore telling uninterested other higher selves about. The best lives are when you throw out the rulebook: Most of the great campaigns hardly used the rulebook. 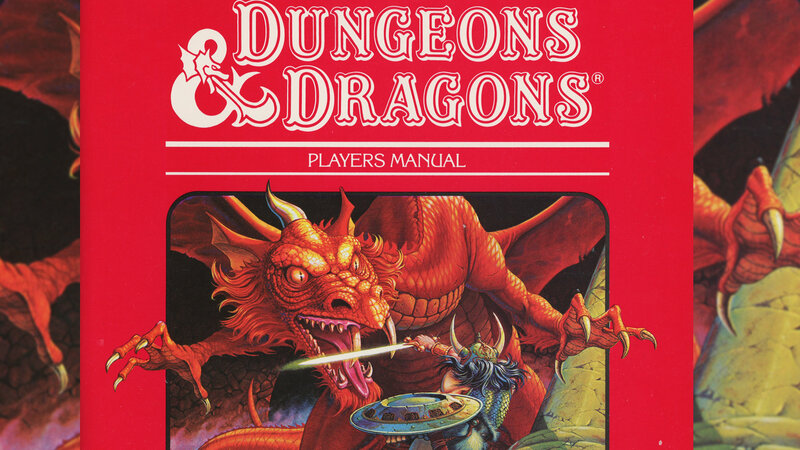 The DM used it for dicing up characters, but we forgot about a lot of things that many D&D rule lawyers considered vital. The Higher Self wants its character to live: There is a occult teaching that the higher self withdraws from life when it becomes too old or inflexible to do anything useful. However in D&D I did not lose interest in characters in long term campaigns who aged or saw their stats shrink. In fact they became more interesting because age allowed them to play out more details. Chance is a god which allows the story to change: A life narrative flows in the general direction of the fates, but what spices up the story are random events. One of the more interesting adventures involved the party being stalked by a monster which we never saw, but was keen to mess with our heads. It was an adventure which was a random wandering monster encounter that had nothing to do with the main quest. But chance is what makes a life which was otherwise dull or set on tracks different and interesting. Magicians really are priests: One of the weak points of D&D was that the “magic users” did not reflect the way magic really worked. They represented the fantasy magician. However, to get a more accurate picture you needed to play a priest. Magic is a religious/philosophical thing. Characters reflect an aspect of the Higher Self: No matter what people say, a D&D character is rehearsing some aspect of the player. It might be wish fulfilment or some aspect of them they are unaware of but it can be found with some thought. My favourite character was a Druid, which if I think about was modelled on Catweasel. He was not particularly ecologically friendly but he was an eccentric academic who collected specimens of plants and animals with the aim of getting them to grow in other parts of the world. I am not an academic but might have liked to have been. Your life is only as good as the God you follow: In D&D the Dungeon master is God. Bad DM’s really were a waste of an afternoon, but really good ones took you into a realistic world which you could believe in. In the real world we adopt “Gods” which build our lives for us. They might not be actual gods but they shape our reality. A good god allows a story to develop and does not kill you off because you guessed the combination to the treasure room without fighting your way through an army of trouble to get the combination which was tattooed on his dead liche’s arm. The DMs who insist on figures, mapping and dungeon layouts are variants of this. If you spend all your time on these sorts of rules you end up restricting your players imaginations too much. This is why I think that any Creator God would have stood back and watched and learned rather than getting too involved in the universe it created. In fantasy worlds everyone is a pagan: While this not completely true, but those who play Christians, Jews, or Muslims only have fun when they are a parody. I had great fun playing a Pentecostalist Cleric (complete with snake) who insisted that part of healing spells was to confess sin and have it exercised. “I only need a 1D6 healing spell” “Renounce Satan first and pray that you are worthy for the healing of GEESUS.” That was when I was still a born again Christian. Black and white world views don’t work: In the real world we like to portray people as being good and evil. In D&D it is literally possible to be it. The alignment systems are set and you can get punished if you do not play your alignment. Evil characters are usually played by kids who think that “being evil” is stealing from the party or murdering. But the thing is that they are not particularly evil, they just annoying. The same thing applies to Lawful Good characters, many of whom spend most of their time trying to get around the stiff criteria they have set for themselves. Fun exists in flexibility and pure good and evil characters become dull stereotypes quickly. Some DMs get around this problem by making alignment necessary for characters like paladins. I played a “good” assassin once who agonised about killing people and felt really guilty about it. He would only kill those who had done something wrong and even then would agonise about it. Mr and Mrs Average can still be heroes: I ran a campaign once where the characters were all “average” (We called it the Smith campaign). The fighters were only slightly stronger than normal people. It favoured those with natural skills like thieves, magicians and clerics, but their skills were limited by their averageness. What was funny though was although the fights lasted longer, they were a lot fewer. The adventures still happened, because they always do. I really liked this article Nick the comparisons between DND & life makes one contemplate the role and ‘character’ that they have chosen to play in life. It is fortunate when one finds their calling at a young age, throws out the playbook and becomes a great success. There are many people who are an example of this gameplay. For me it was a similar notion when I played role playing games. And now many decades later I have decided to take that advise and apply it. And I must say that the game has become fun again. This is a really cool post! I too was into roleplaying games before I got into esotericism, and there’s some food for thought here in both the ways that the game can be run and in the ways that life works.